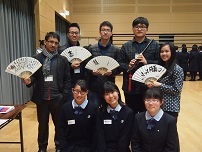 The purpose of Kumamoto University’s Global Youth Campus project is to develop and provide a global education environment through a variety of learning experiences and events for young people who are preparing for higher education. 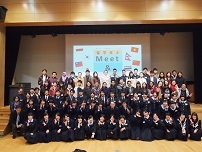 Organized alongside Kumamoto University’s Summer and Spring programs, this event provides high school students with the opportunity for international exchange through direct contact with their close peers from abroad. The event is scheduled to be held twice a year, in summer and spring. 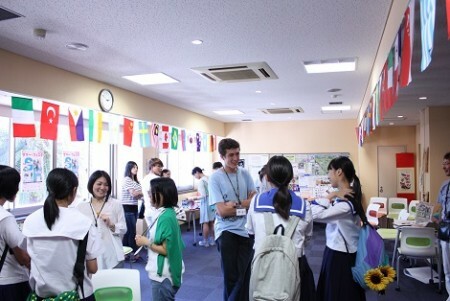 As part of Kumamoto University’s Open Campus, “Summer Festa” offers free participation in a number of activities, including presentations by university students with study-abroad experience, international exchange games, study abroad consultation, and a chance to speak with Japanese students who are currently studying abroad via SKYPE. Near the end of each year, a seminar is held where Kumamoto University students who went abroad on study programs make presentations about their experiences. Students who participate in this event can speak directly with their upperclassmen for advice and insight into living and studying abroad. 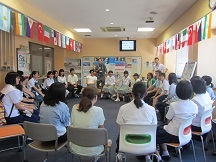 On request, Kumamoto University’s international students are available to attend presentations and otherwise interact with students through visits to Junior High Schools and High Schools within Kumamoto.